Well, dig day was successful. Props to the crew for the work in such a tight space. They were able to get the excavator around on the common area of the neighborhood and did a great job taking care to not tear up any property that isn't my own. 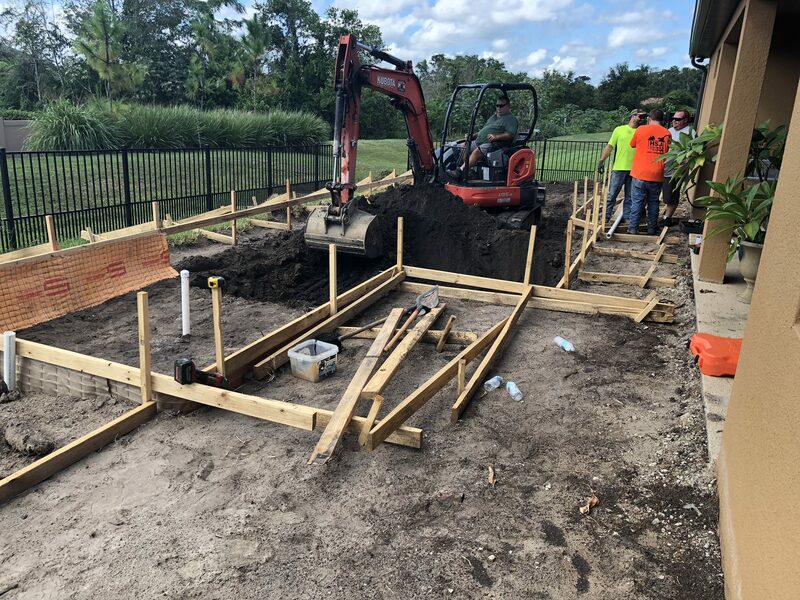 They are back this morning already and getting started on the steel, plus fixing a small cave in we had in the deep end. Start of the dig. This is after they removed as much off the top with the little bobcat as they could. Really starting to see the size in the yard. 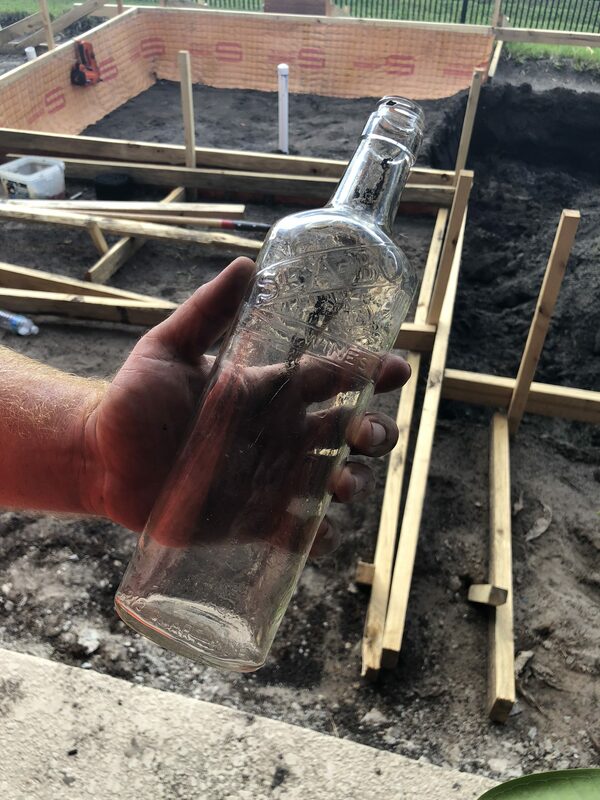 Found about 10 old bottles while digging, and a ton of glass suggesting there were a lot more. This was the only one with a logo, and seems to be a cheap wine from the 1950s popular with winos. Asked the excavator what the worst thing they ever hit was and was told about when they found an old sailboat buried in a back yard. Taking final depth measurements. 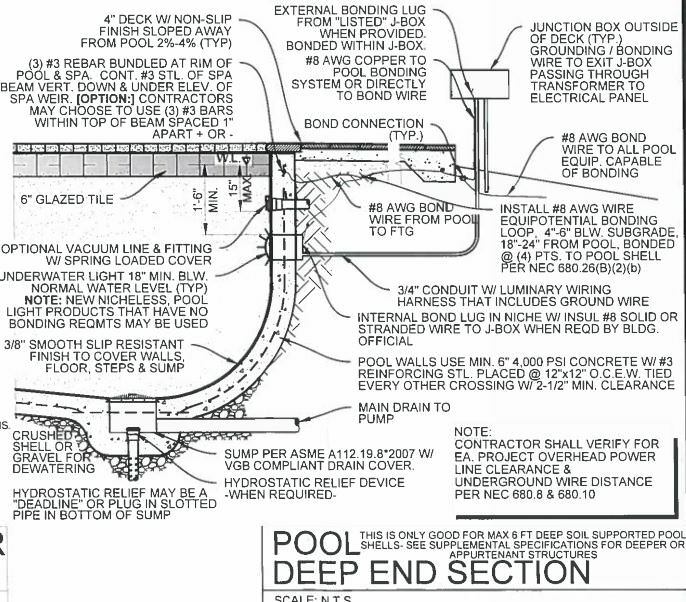 I really wanted to ensure at least 6' of depth in the deep end. Also, the slope ended up right at 4.25:1 from the 3'-6" shallow end to the +6' deep end. This pool has a large flat shallow end for lounging in and so our little guy and his cousins can have a large area to play in when they get a little bigger. Unfortunately we had a little cave in after the crew left. 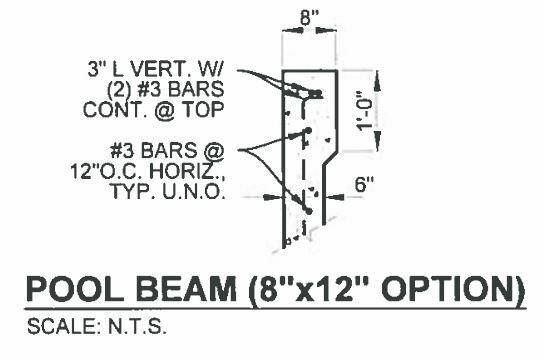 The guys that showed up today seem like its not a big deal and said they would just put a form behind the steel to shoot against (they had to do that anyway as the beam is raised in this area), then I'll have it backfilled after the concrete is shot. Hopefully next will be steel, deep plumbing and waiting on the inspections. Unfortunately I can't help with plumbers, I couldn't get anyone to come out on my pool so I ended up doing it myself. 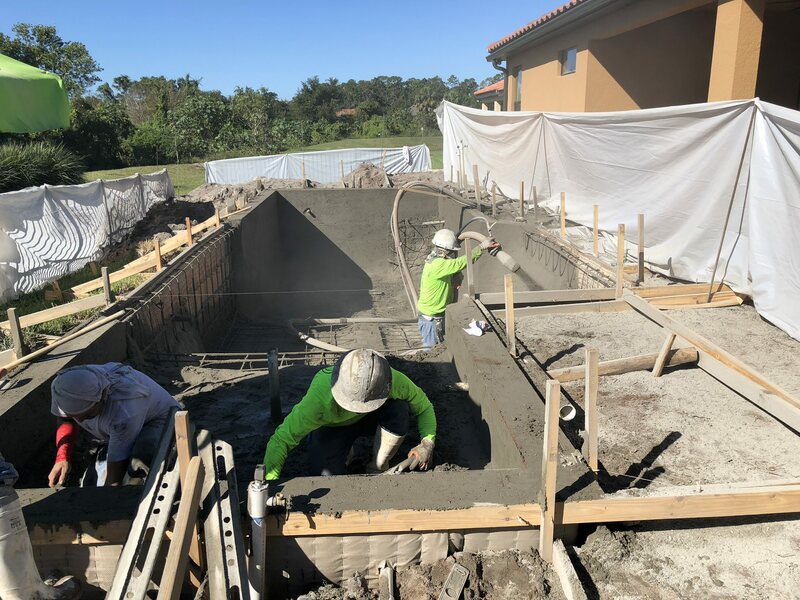 After steel is done, call your inspections immediately and schedule gunite. But, I do recommend putting stubs for all your returns so they are in place before the shell is shot. If you don't end up with a plumber, you won't want to core drill your returns which is something a lot of plumbers want to do. Looks like I'll be placing my own returns as I can't get the plumber I have lined up to come out only for the stubs. 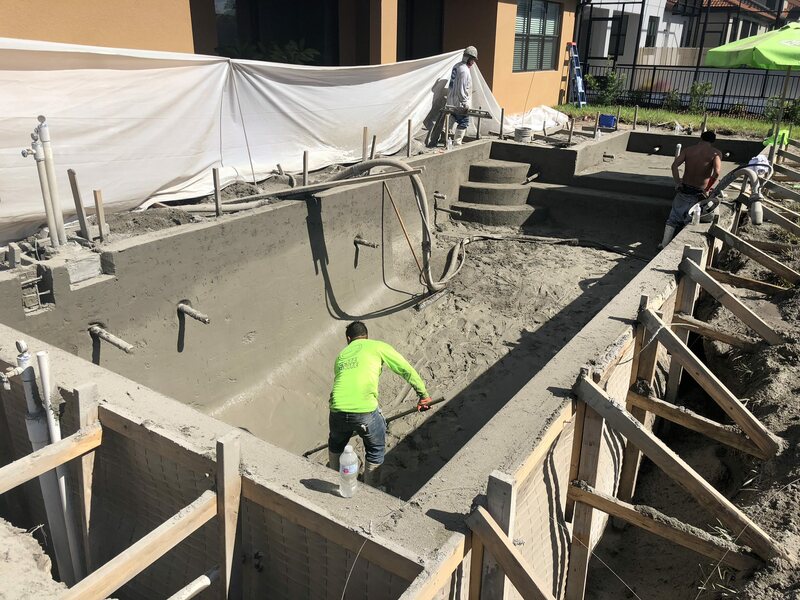 Everyone I've been working with has been saying how they will just create the little holes where the returns are supposed to go when they shoot the concrete, but I have a hard time accepting that as the best way to do it, so it looks like I'll be doing that myself. Originally they wanted to do the same with the skimmer, but that wasn't something I was willing to wiggle on, so they are properly tying it in with the steel and setting it today. 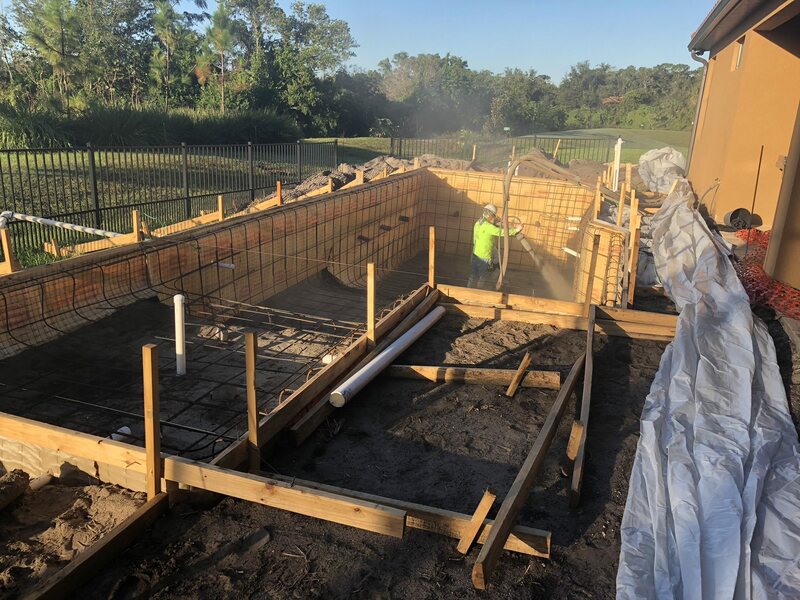 Hopefully I'll be calling on an inspection tomorrow as the gunite crews are backed up for weeks and I need to get on their books. 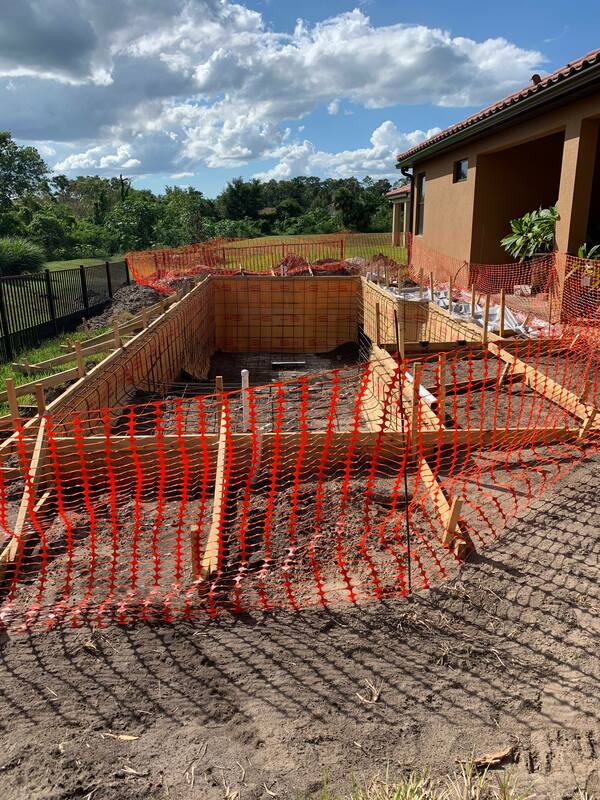 The excavation crew has ties to the gunite company, so they said they will try and make some calls on my behalf and get me moved up since it should be a simple shoot. That looks great! How much did you add to the measurements for the shell and plaster? Glad to hear they took care to not tear anything up coming and going. The bond beam is an 8"x12" beam so the forms are offset 8" back from the water surface. Hopefully the plaster only adds about 1/8" - 1/4" of thickness, and that dimension is not taken into account in the form setting. The shell itself is 6" thick everywhere but the bond beam. Construction details for the nerds like myself below. Steel is in as well as all the deep plumbing. I'll be placing the niches for the Globrites and the stubs for the returns this weekend, and possibly tweaking the drain installation as it looks slightly out of plumb and the steel crew did not quite match the manufacturer detail on how the basket should be formed around/under the drain sump. Quick photo with all the steel in! Good catch on the basket being off! Here is hoping it is an easy fix. Going to look at travertine today and have our fist set of inspections. We passed steel and electrical, but unfortunately failed plumbing. I had a feeling we would as the sub didn't want to pressure test the skimmer "because the inspector isn't looking at that, just the main drain." I figured the skimmer needed to be pressure tested since if their was a bad joint it's about to be buried in the concrete. Go figure, that's exactly what the inspector wanted to see, so I have to wait on the sub to come out and fix it so I can call in a new inspection. Oh well, the steel was the main one I was worried about and they passed with flying colors, so there is a lot to be glad for today. Question for everyone though. The county charges $40 for a failed inspection to cover re-inspection costs. Would you backcharge this to the sub? Once all the inspections pass, payment is due, and I have documentation of the sub stating they are ready for the inspection, or is this just an added cost of being the "GC"? Me? I would write him a little note (put and get everything in writing) about how he refused to test the skimmer and that was the very thing that failed the inspection and how he was going to pay for it! Got everything sorted today and all inspections passed. Gunite is scheduled but the company is about a week out, so that will be the next major update, hopefully before November. Glad to hear it all worked out and passed! Moving along, however slowly. Quick photo of the finished steel from yesterday, and a small update for this morning with a much bigger update to come tonight. I'll have a much more in depth update this evening, but right now, things are moving! The plumber will be out next week, and we are booked for tile and plaster around the last week of November. Currently chasing around our deck crew and trying to find someone for pre-grade and the to form/pour the deck footers. 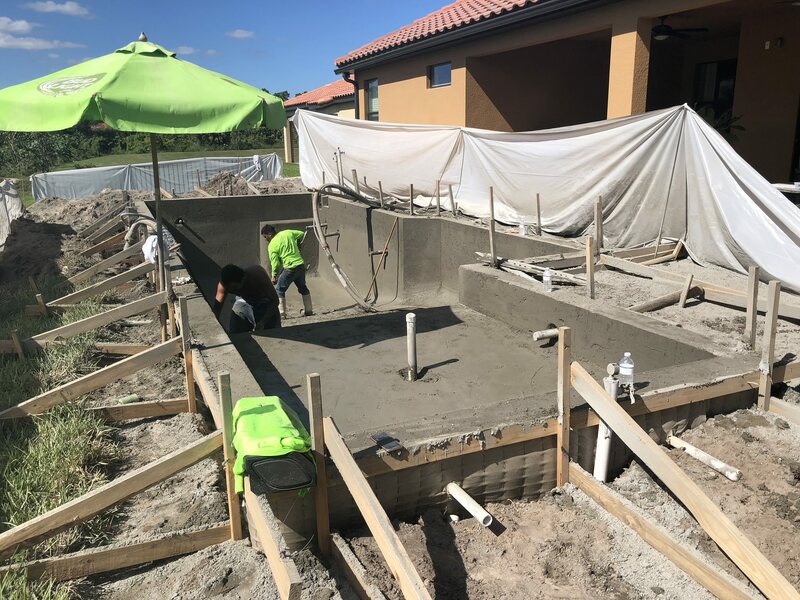 Gunite was completed late yesterday afternoon and I cannot say enough about the crew that performed the work. They did a great job and you could tell there was a sense of pride in their application. 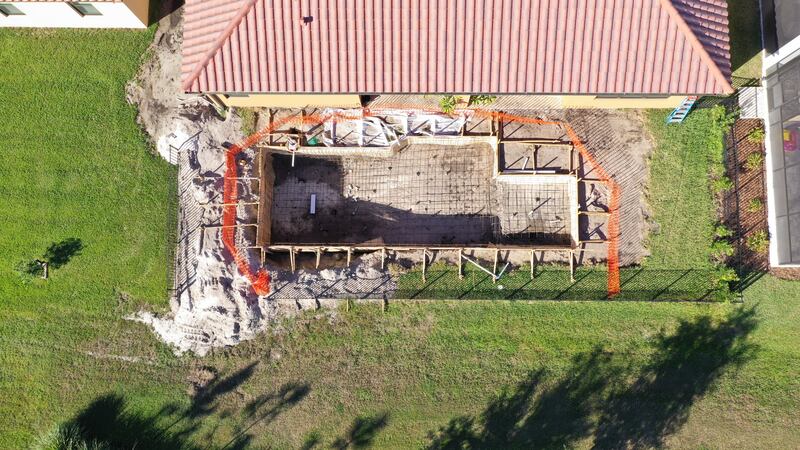 Next steps will be pre-grading happening early next week, then underground plumbing later in the week. 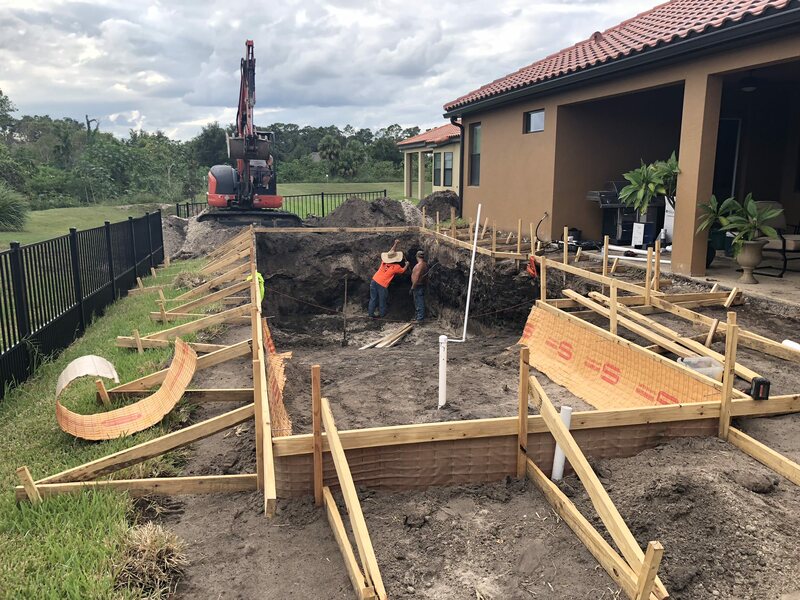 After the plumbing goes in we will start digging the footer for the patio and then have our next round of inspections. Current scheduling has tile happening the last week of November, then the deck the following week. Plaster will hopefully be happening around the holidays with landscaping and final touches in January. SWEET!!! Have you started bonding with it aka watering it? This helps it cures slower. Do you know what time it is? It is time for your own set of links! I have two sets. One is how to get the best plaster job possible and the other is how to care for your pool once it gets water in it! Now is also the time for you to look into getting your good test kit. Look in my siggy for the one I think is the best bang for the buck. Im actually traveling for work as of this morning, but I set up the shell with and automatic watering system using soaker hoses and a hose Bibb timer, so it should be all good. Hopefully plenty more updates next week.